Alongside the development of Docking/MDI vNext for WPF, we have been working on porting our WinRT/XAML Controls to the Universal Windows Platform (UWP). 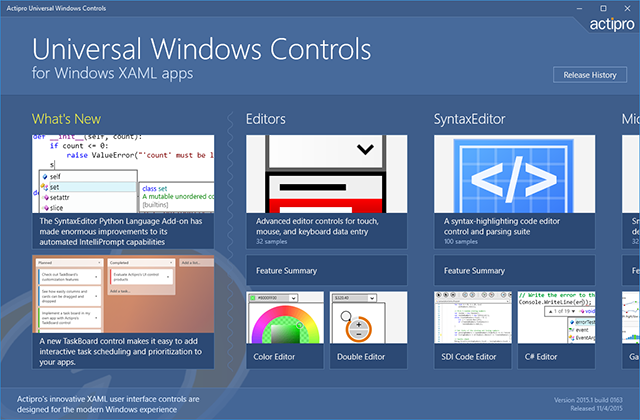 This is a full port of our existing controls available for the WinRT/XAML platform, but made for UWP and Windows 10 app development. We are currently looking for beta testers for these controls. If you would like to participate in beta testing, please contact our support address. We've spent the last several months working intensely on completely rebuilding the internals of our market-leading WPF Docking/MDI product. 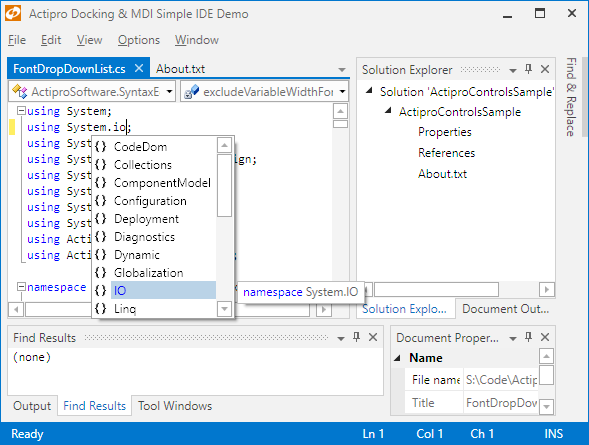 This project is called "Docking/MDI vNext" and keeps the same general API surface, while providing even more advanced features in every area of the product, evolving it into a true best-of-breed docking tool window and MDI functionality solution. Great news… after several months of development and testing, Docking/MDI vNext is now out of beta and considered complete! Check out our recent blog posts to see a list of several of the major features that are included in this new version. The updates we made will be released as part of our WPF Controls 2016.1 offering that will likely officially roll out live in January or early February. We'll have a full summary of the new features on the blog then. If you would like to get a preview build of 2016.1 and start working with everything now, please write our support address. The major Docking/MDI vNext updates are considered code complete and stable at this point. We have new and updated samples and documentation, updated Prism 6.1 compatibility, and a lot more. The documentation gives detail on all new features and any breaking changes you might encounter. We'd love to get some more users including it their apps and giving us some final feedback before a public release.